More from August 4th! And a new address! 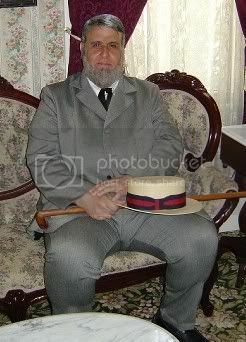 A big thank you to all who have sent in photos and helped with the big day: the P.E.P. 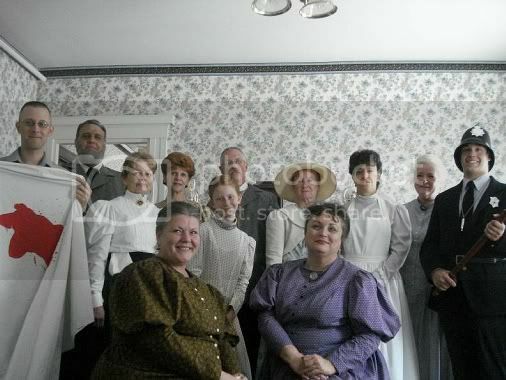 2009 cast, Lizzie Borden Bed & Breakfast Museum staff (Dee and John, Donald and LeeAnn, Dave, Logan, Deb and her daughters, Emily, Ed Thibault,), Don Sykes, Bob Shaw, ( there’s a big part for you next year, Don!! ), Debbie Allard at the Herald News, the folks at Channel 10, Fall River Spirit, Rick Rebello, the visitors and guests at #92 who support us every year with their enthusiasm and attendance- and Bob Dube who graciously gave us a look at Lizzie’s life at Maplecroft. And now- on to August 4, 2010- with a few surprises in store! Visit us often at our new address https://pearessentialproductions.org/ the old address will still bring you here. This slide show courtesy of Lorraine & Ted Gregoire. Absolutely, the best Bed and Breakfast Inn. Great story line and love the tour given during our stay at the Inn. My wife and I are considering another visit to the Inn. We stayed in Lizzies Mothers Room and the painting of the suspected Uncle who was thought to have commited the murder hung on the wall at the beds end. This photo reminded me of the photo’s from horrors in that the eyes would move and I told my wife this and she lay awake all night checking. After all, we were in the murder room. Best to all of you at the Inn. Of course we recommend that you visit the Inn as well.